IMAGE: Anthony Uytingco (BSE EE 2019, exp.) leads UM:Autonomy, Michigan’s autonomous boat team. Out on the water, a drone flies up. It beelines to the shore, scans available piers, and sends a signal to its launch boat on where to dock. With no human interaction, the boat finds its slip, and the drone lands. This is the newest challenge in the Association for Unmanned Vehicle Systems International’s (AUVSI) RoboBoat Competition. Other challenges for the five-foot autonomous boats include speeding around buoys, navigating a field of obstacles, staying in a precise formation, and docking based on an underwater pinger. 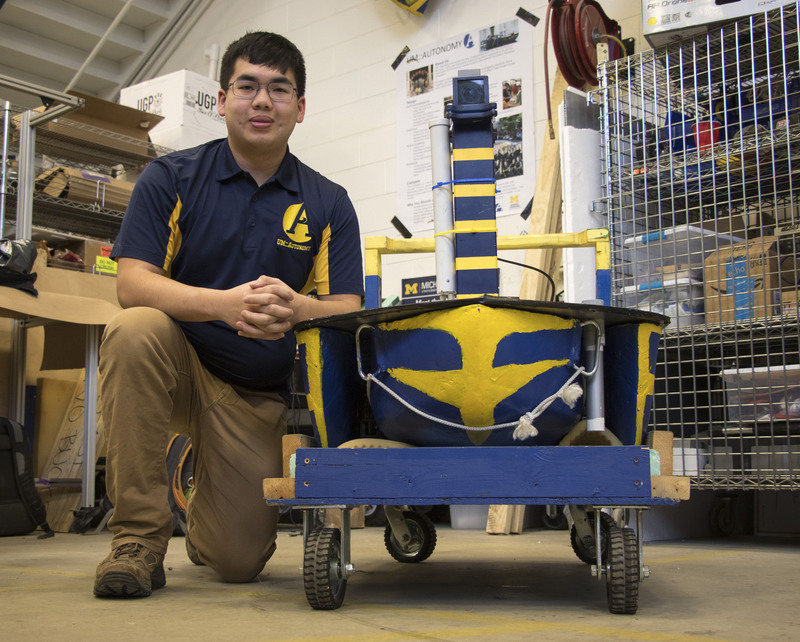 Anthony Uytingco, a junior in Electrical Engineering, leads UM::Autonomy, Michigan’s RoboBoat team. Despite ice-covered lakes hindering testing, UM::Autonomy has a handful of top-five finishes. “Last year, we had some electrical failures and finished second to last,” says Uytingco. The team aims to return to the finals this year in the late-June International RoboBoat Competition, held in Daytona, Florida. 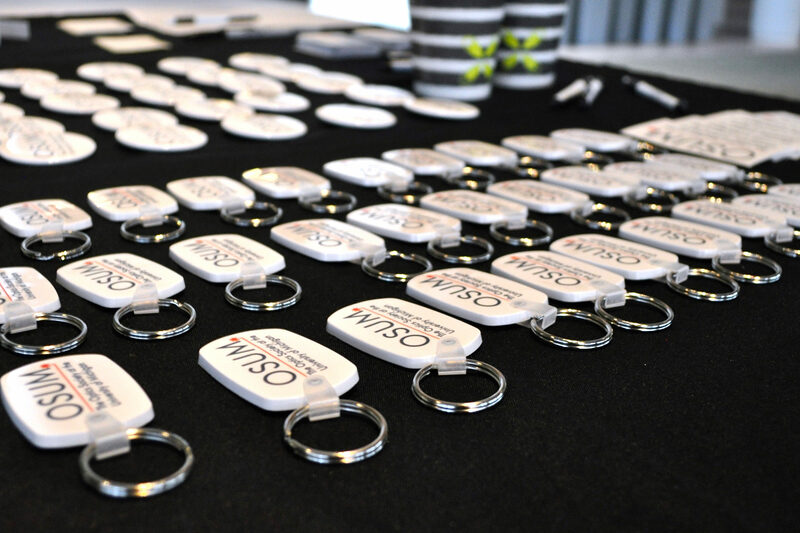 Before deciding to work on autonomous boats, Uytingco explored several of the student teams at the Wilson Center. He chose UM::Autonomy because he felt there was a lot of room to grow, and has since been the Electrical Team Lead, and now President. For those interested in joining a similar team, Uytingco advises to be open to everything. IMAGE: Uytingco kneels next to UM:Autonomy’s trimaran boat from last year, Flying Sloth. The team will revert back to a catamaran design for future boats. Uytingco has been building his expertise in electrical engineering, which he chose to pursue after taking ENGR 110: Design Your Engineering Experience. 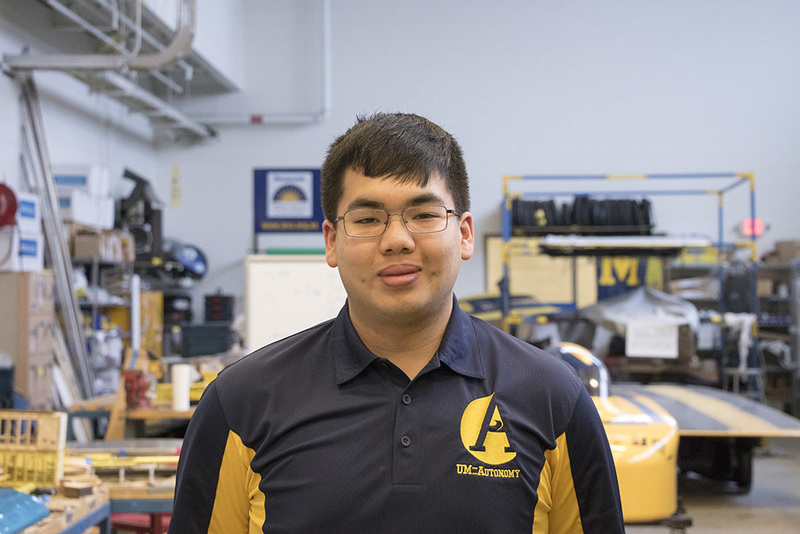 The collaborative spirit of U-M helps Uytingco both in his degree and UM::Autonomy. 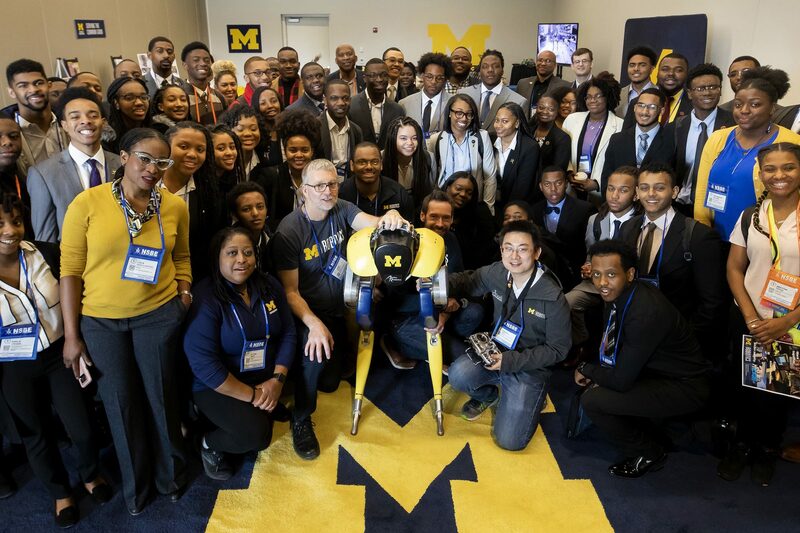 One example is Michigan Applied Robotics Group (MARG), which is a collaboration between several robotics groups at U-M, including UM::Autonomy. 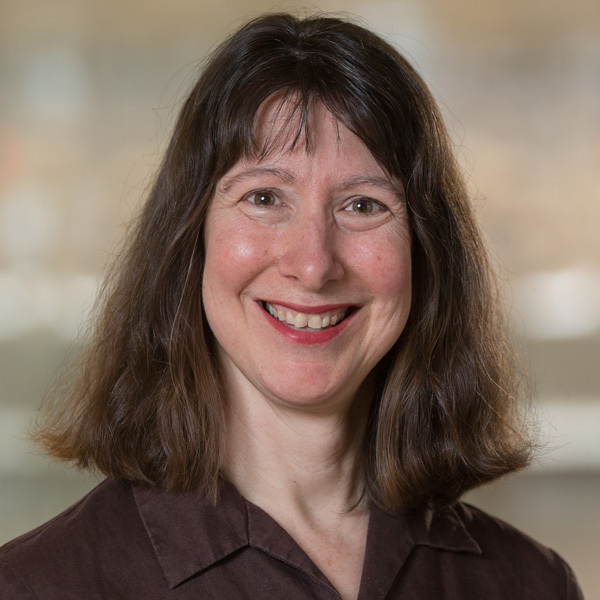 MARG’s goal is to help robotics teams handle bureaucratic affairs, expand robotics knowledge, and strengthen connections to industry. 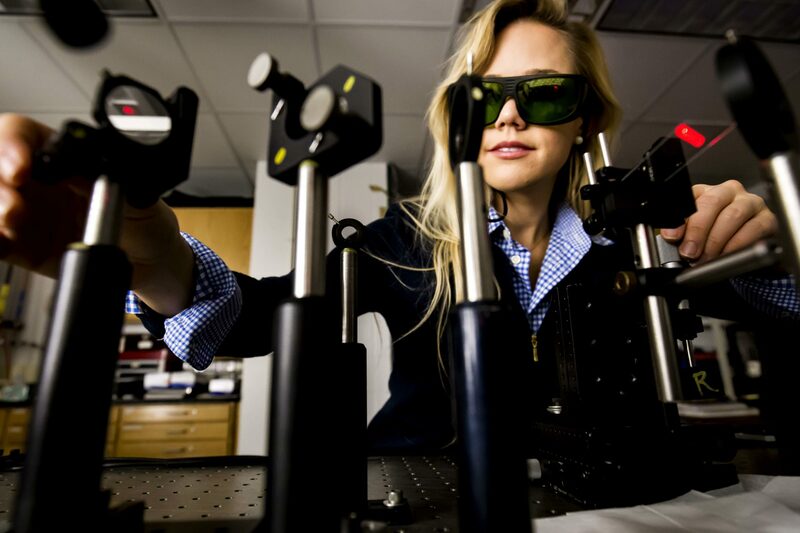 Recent MARG events include a tech talk on neural networks and upcoming visit in March from Raytheon. Uytingco expects to graduate in 2019, with a bachelor’s in Electrical Engineering and a minor in Physics.